Meeting our customers’ needs whether commercial, residential or special purpose. Northern California is well known as a lush greenhouse for beautiful trees and plants. From the Giant Sequoias throughout the region, to the tall Redwood and Cedar trees, Sitka Spruce trees, as well as various Pine trees including Ponderosa Pines trees, people throughout the valley are faced with regularly maintaining the beautiful trees that grow and thrive in the region. Bellizzi Tree Service has been providing the best tree trimming and stump removal services in the Valley for over 20 years. Providing customers with an economic solution to what can sometimes feel like a big problem. Be sure your trees are safe for you and others! In many cities in the SF Bay Area, the homeowner is responsible for the trees in parkway strips, along with any damage they may cause. If you are wondering what type of tree you may have on your land or property, this helpful Urban Key Tree Website can help you determine the tree species. 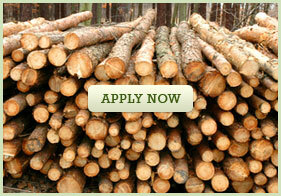 At Bellizzi Tree Service, we care about our customers satisfaction. We are available to answer your questions and deliver the best service to you with every detail. Visit us at Yelp to read our reviews and see just why we are so highly respected in the business. Many people may not realize that a permit is required to remove any ordinance sized tree, which is a tree with a trunk circumference of 56 inches or greater measured at two feet above grade. Bellizzi Tree Service can help you with this and if the tree is dead, a Dead Tree Removal Application is required and there is no fee. If the tree is alive, then either an administrative Unsuitable Tree Removal Application (see below) is required or a Live Tree Removal Application is needed. For multifamily residences, commercial properties, and industrial properties, a permit is required for the removal of trees of any size. You can visit the City of San Jose Government Website to learn more. For over twenty five years, Bellizzi Tree Service has satisfied customers throughout Santa Clara County, Santa Cruz County, and the surrounding vicinity. 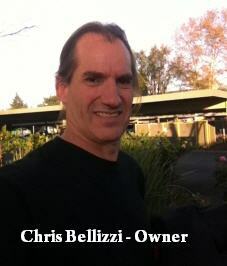 Bellizzi Tree Service is owned and operated by Chris Bellizzi and his family. The Company is staffed with a well trained team of efficient individuals, who understand the nature of trees, and how to utilize state of the art equipment, to perform each unique tree cutting job function and service. Offering a wide range of services provided to our valued customers. Bellizzi Tree Service can help with tree trimming, tree shaping, tree removal, stump grinding, root pruning, tree aeration, air knifing, hazardous tree removal, emergency storm damage response, and firewood, which includes providing seasoned firewood.